Want to advertise on Inside Texas? 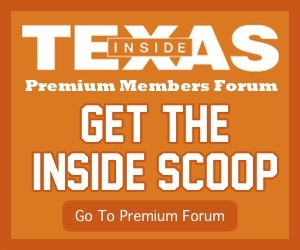 We have several sponsorships opportunities on InsideTexas.com, including story, feature and message board sponsorships. For specific opportunities and rates, e-mail clendon@InsideTexas.com or call 512-659-8167. Thanks!